Two new faces, as well as several more new accessories are now joining the Resin Menagerie Line starting this month. The First is`Porcelain` the latter `Orchid`, which together with `Butterfly` (previously introduced in May) makes for three face option for the new Resin Menagerie base doll. The Catalog section on the Resin Menagerie site is in the process of being updated with the new photographs and new part information, this should take a couple of days so please be sure to drop in and check it out once ready ( I know there have been few updates for ages, As I was busy with the Moonglass doll orders, but Now I`v decided to shift focus to the Resin doll line, and I have some very big planes for it). This pre- order will include the Natural Body with the 3 face options, perhaps one or two of ornamental body pieces that will fit this body, and several accessories I plan to introduce in the catalog. For those already on the Pre-order list from May, all face options and accessories will fit your girl that is now being cast, so you are very welcome to take a look. and jointing system of my invention. featuring a double jointed shoulder, arm, knee and thigh. We will be producing her in a beautiful translucent white resin with a velvety finish. both have the Butterfly face. 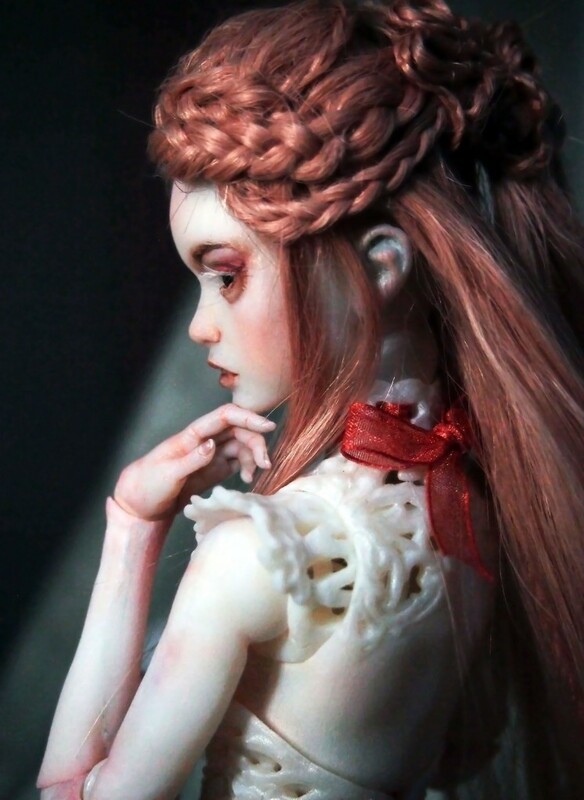 I`ve been receiving many emails over the months requesting that the resin line would continue, and so I`ve decided to create this new 36cm tall Girl, in beautiful translucent white resin. She has double jointed shoulders, elbows, thighs and knees for maximum movement yet, her joint are slit-less for achieving a clean as possible classic look. ..will finally start shipping in turn this month!